Student filmmaker Kallie Burke documents her team's search for Florida's skunk ape, with Baile Funk from Man Recordings. Florida International University TV/film student Kallie Burke set out with several classmates to complete a class project. They chose to make a short documentary, and their subject was to be Florida's infamous "skunk ape" -- a southern bigfoot spotted prowling the everglades since 1947, but never caught or officially documented. The result was Footprints, a 15 minute glimpse into a student team's chase after a most elusive quarry. Kallie fills us in on what went into making the film. Baile Funk is a type of dance music that started at the clubs and parties of Rio's underground. It has recently started to make a mark in North America, though most of the releases are bootlegs or cheap copies of the style and flavor. 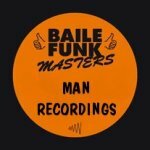 But Germany's Man Recordings has begun releasing a series of records and compilations featuring Baile Funk DJs in their prime. We offer here samplings from "Baile Funk Masters #1" (featuring DJ Sandrinho) and "Baile Funk Masters #2" (featuring DJ Sany Pitbull). Sorry, this is show is no longer archived online. Please contact us to buy old shows on CD-R for only $3, postage paid. You are not logged in and will download from the free 64k archive, when available. Please login to download from the 160k archive. Product of Circadia is the best in indie/DIY music and interviews with strange people caught in a normal world. Recently, POC partnered with Comfort Stand Records and WM Recordings to help promote the free albums of both labels. Unsigned artists are still encouraged to send us stuff, though! Steve Heinrich discusses the relaunch of the You Don't Know Jack website, with music from the Comfort Stand Wakka Chikka Wakka Chikka compilation. We want to talk improv, and we're working on a guest to fill that role. Music to be determined.